Award winners represent fewer than one percent of real estate agents in the Orange County-area. Whether it’s helping a seller stage and prepare their home to look the best it can or exposing that home to the most amount of buyers, we jump in with both feet! Jim Bishop, Berkshire Hathaway HomeServices, is featured in a special section of the December issue of Orange Coast magazine as a 2017 Five Star Real Estate Agent award winner. Five Star Professional partnered with Orange Coast magazine to identify and showcase an exclusive group of real estate agents who have demonstrated excellence in their field. Less than one percent of agents in the Orange County-area received this recognition. “It is humbling to be honored with the Five Star Real Estate Agent award year after year. We never know who they are going to survey, so it’s comforting to know that the appreciation we receive directly from our satisfied clients matches the feedback from an anonymous independent survey,” said Jim Bishop of Berkshire Hathaway HomeServices. The 2017 Five Star Real Estate Agent award winners have been carefully selected for their commitment to professional excellence and overall client satisfaction. The award is based on rigorous research with significant focus on customer feedback and providing quality services. See Jim Bishop’s Five Star online profile here! 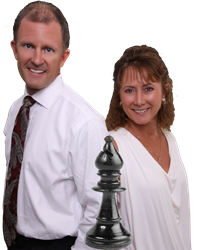 “We are a small family business with total focus on our clients. My wife Vickie and I have worked together for 15 years and our knowledge and market experience allow us to help our sellers get the most amount for their home … and helps our buyers get the best deal when buying their next home. Whether it’s helping a seller stage and prepare their home to look the best it can or exposing that home to the most amount of buyers, we jump in with both feet!” said Jim.